For Jews today, no less than for any generation in the past, the study of the weekly Parashah is a vital, energizing, uplifting experience, keeping us in contact with the eternal pulse of our people. 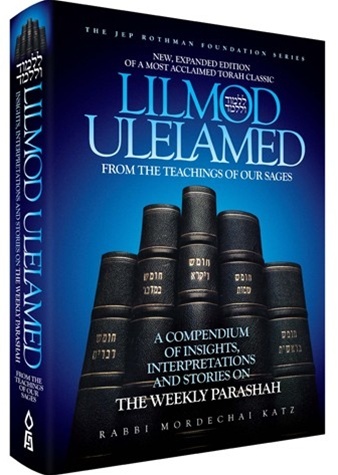 Lilmod ULelamed - the perfect Parashah companion - is designed to do just that! First published in 1978, Lilmod Ulelamed is a contemporary classic that has not only withstood the test of time, but has grown ever more popular over time. Detailed, easy-to-follow, topic outline for each parashah. As a reader, you’ll come away with a fundamentally richer and fuller understanding of the Parashah, energized by insights and life lessons that will transport you from one week to the next. 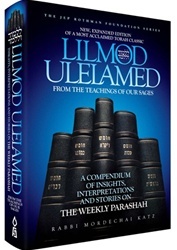 Lilmod ULelamed stands ready to inform and inspire a whole new generation of readers. Enter the Torah text with this insightful companion and experience anew the impact of every Parashah’s eternal wisdom.